When constructing a fictional world the author must constantly tow a fine line between the foreign and familiar. As I created the world of “Westfalia” in my YA Fantasy “Journey to Wasteland” I learned several key things—the foremost being that the creative process in fantasy (in many regards) is much more difficult than non-fiction. Having written in both genres I can make this statement confidently and anyone who has done the same will readily agree. In non-fiction the laws and aesthetic already exist. Culture is not created but mimicked, places aren’t invented but chronicled, and characters aren’t created but copied. The key to world building lies in the author’s ability to create an environment different enough from our own so that the reader remains curiously engaged. (If the world is simply a duplicate with few changes, your reader will quickly spot the fraud and check out.) However, at the same time, there must be a dialogue or connection between both worlds. Without this connection the reader will struggle to draw reference and meaning—there needs to be a point of reference so that they might empathize with the characters. In creating Westfalia I drew influence from a variety of art forms and tried to find something eerie or out of place and alter it. After making it “my own” I would proceed to insert it into the fictional world, checking to make sure it fit with the Westfalian aesthetic. Furthermore, I found history to be a great “public domain” to draw influence from. It’s full of intriguing inventions, legends, dynasties, empires, lunatics, heroes, and prophets that helped build a mythology and culture in Journey to Wasteland. Therefore I came to the conclusion, that if I’m to effectively create another world I must first get to know my own. 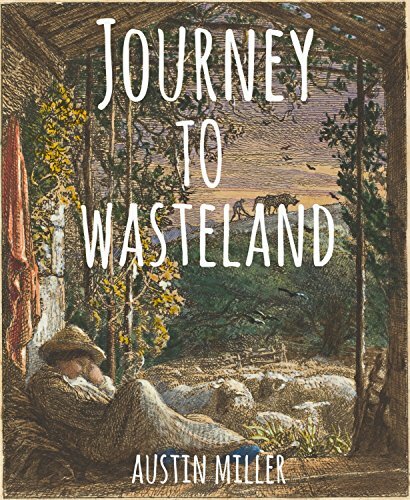 You can purchase Journey to Wasteland on Amazon here. Or check out Austin’s blog called the Art of Writingby following the link.